This expansion for "Good Help" adds special abilities for the Evil Doctors. There are several new townspeople added in as well. 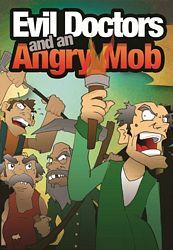 Once monsters start appearing though, they become an angry mob. Can you control the mob?